You need not be on the property ladder to enjoy a luxury development or great location, both of which are on offer at 74b Queens Road. 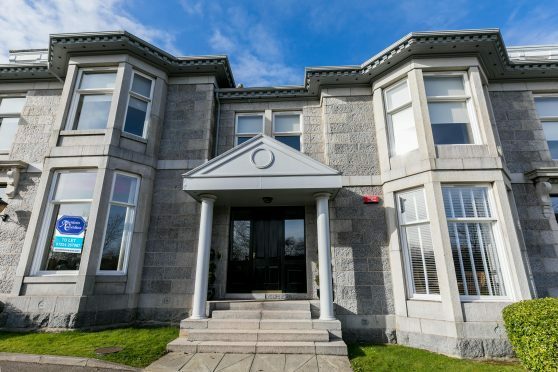 Found in the west end of Aberdeen, this beautiful two bedroom ground floor flat offers a superior standard of living. 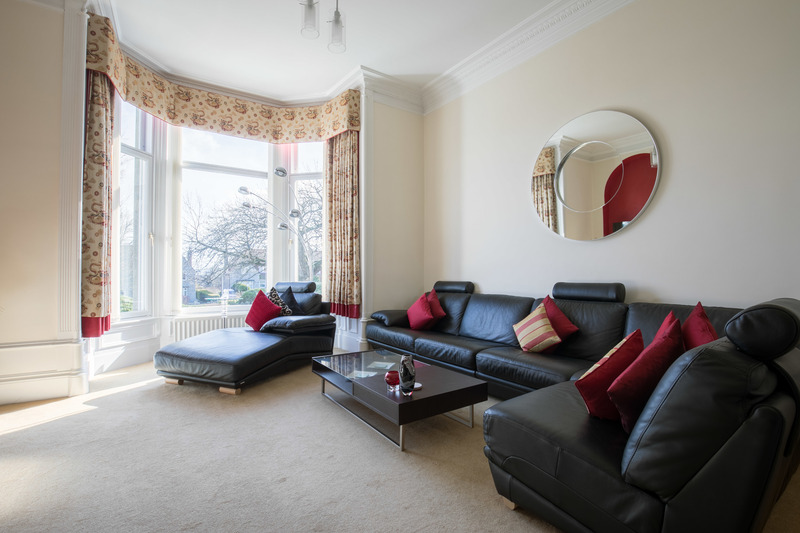 The lounge is incredibly spacious and versatile, with a beautiful bay window. The elegant setup means there is room to unwind and also come together for the evening meal. Whether you’re enjoy some down time or entertaining guests, the lounge offers the ideal spot. Head through to the homely kitchen which has been fitted with modern units in a light pine colour. They contrast nicely against moss green tiles and spotlights add to the stylish interior. A breakfast bar provides a great alternative to informal dining, and there’s plenty of work unit space on offer so you can get preparing the Sunday roast. 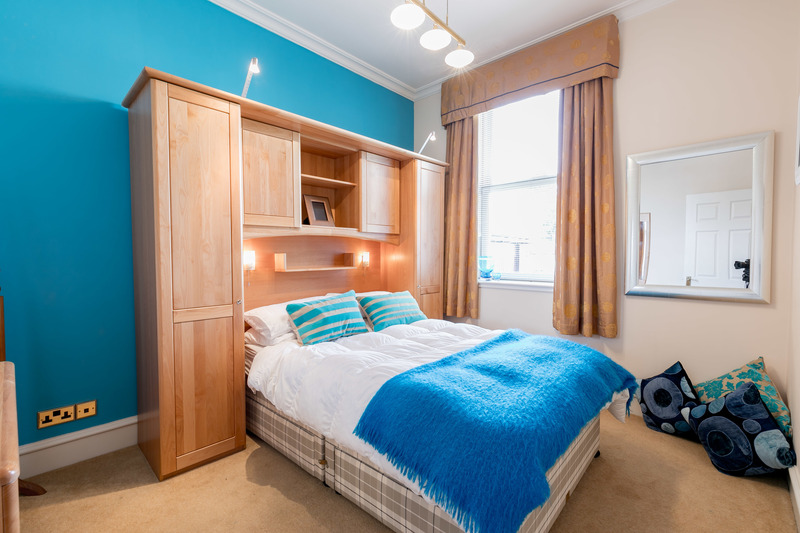 The master bedroom offers neutral decor with a trendy blue feature wall, and also boasts a fitted wardrobe unit. You’ll never struggle for storage and the second double bedroom is equally lovely. The bathroom offers a luxury walk-in shower and contrasting floor to ceiling tiling. This property also comes with an allocated car parking space within the residents’ car park, and secure door entry system. The city centre is only a short walk away where there are plenty of amenities, from great restaurants to several shopping centres. 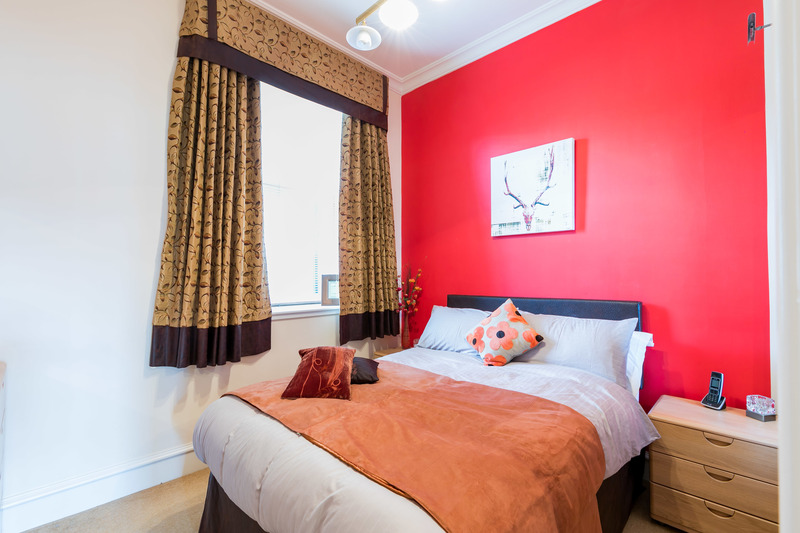 74b Queens Road is on offer fully furnished for around £1,200 per month. Contact Aberdein Considine on 01224 267067.